Putting together an anthology takes time. There’s a lot of threads to keep track of when each issue is supposed to house four different comic book stories from four different creative teams. And since we at Outré HC are asking all the creators involved to work for nothing but fame and glamor, it is obvious that we can’t be too strict when it comes to deadlines. We want each creative team to take their time to deliver the best 8-page story possible, which should be evident when the first installment is released. The final script drafts for the first issue have been handed in and approved. The artists are working diligently away on the stories, and three of the four stand alone illustrations are done and ready. As for the second issue we’re in the process of polishing the scripts and we expect them all to be ready for an artist soon (We’ll be talking about this in early 2013, and our plans for the third issue shortly after that). So the Outré train is definitely on the right track and we hope you’ll all stay on board for the entire ride. And if you can stand that worn-out metaphor you deserve to be told that Outré #1, the responsibility issue, will be available on Saturday, May 4th. Yes, it is a few months off, but could there be a more fitting date than Free Comic Book Day for a project like this? We didn’t think so either. In the meantime we’ll give you regular updates about this and the following issues as they take form. 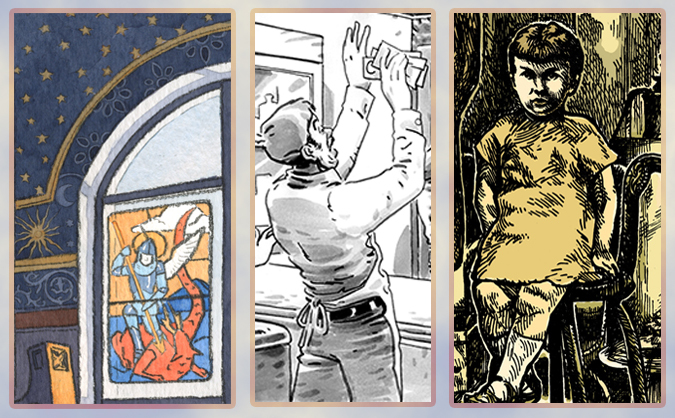 Before we leave you this week we want to show you three snippets from the aforementioned stand alone illustrations. Cécile Brun, Aleksandar Bozic Ske and Jelena Đorđević each bring their unique vision to the theme of responsibility and we can’t wait to show you all of what they’ve come up with in May. Tune in soon and stay creative! I am Brian Gilman and I am an American freelance illustrator doing comic book work full time. I draw because I can do anything I want, I am not contained by the boundaries of reality. I’m Kim Holm, a cartoonist from Bergen, Norway. I do a lot of illustration to finance my comics. 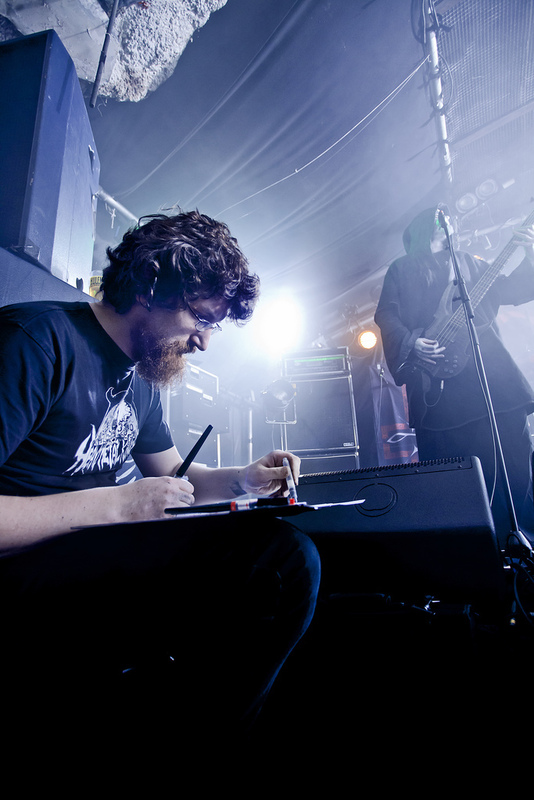 I also draw sketches during extreme metal concerts, and work a lot for bands. I draw in order to spread art freely under open licenses, undermining capitalism, and finally bringing on a glorious new age of peace and anarchy. Oh, and also because I’m useless at anything else than drawing and telling stories. I try to blog at www.cartoonarchy.com, and although I have too many websites and twitters and facebookies, that is a good place to start. 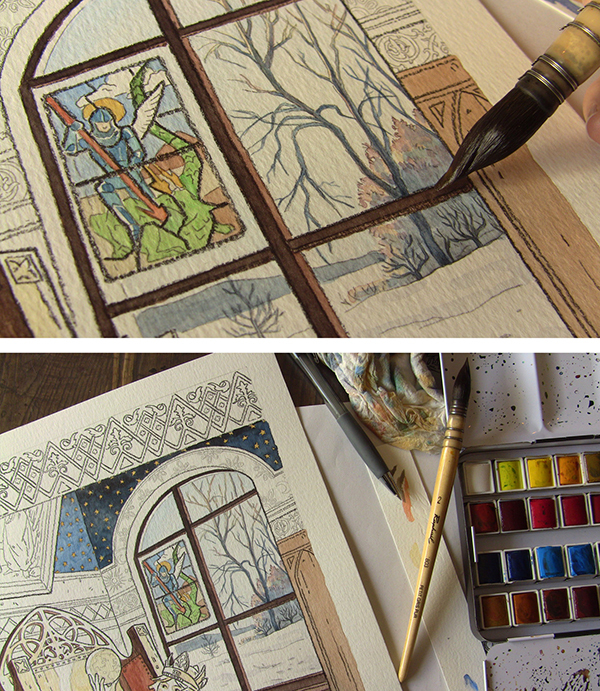 We are glad to announce another terrific traditional artist for our initial issue of Outré. 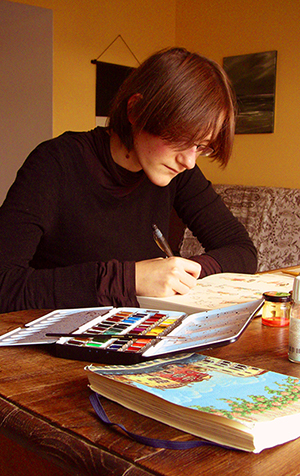 Cécile will contribute to the theme responsibility with a unique stand alone illustration. I am Cécile Brun, a 24 years old French girl living in Brittany, and a member of the strange Atelier Sentô team. I draw because I have a lot of imagination, and just thinking about it isn’t enough for me. I need to get it on the page to make it a bit real in our dimension. Cécile and her partner Olivier at Atelier Sentô will have a short story in issue #31 of Prophet. A bonus reason to check out the fantastic sci-fi craziness Brandon Graham & Co. are making. 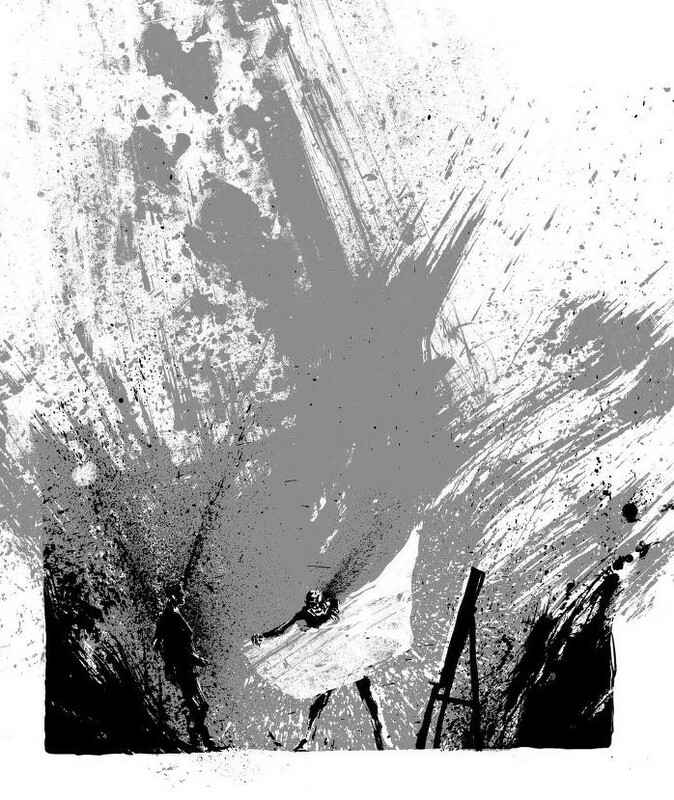 Alex Elykov, our eminent cover artist, relocated from Israel to the UK not long ago. But despite all the hassle of moving and setting up he’s just about to finish the beautiful cover for our initial issue. A colourful and fanastical illustration that speaks directly to our theme: responsibility. All the four stories for our first issue have found their right artist. We’ve already announced Jim and Valentin, and we’ll announce more artists shortly, together with some initial concept sketches. Another weekend is here, and it’s time again to tell you about some free and excellent comics that are only a click away. First off we want to direct you to Dylan Meconis’ website. 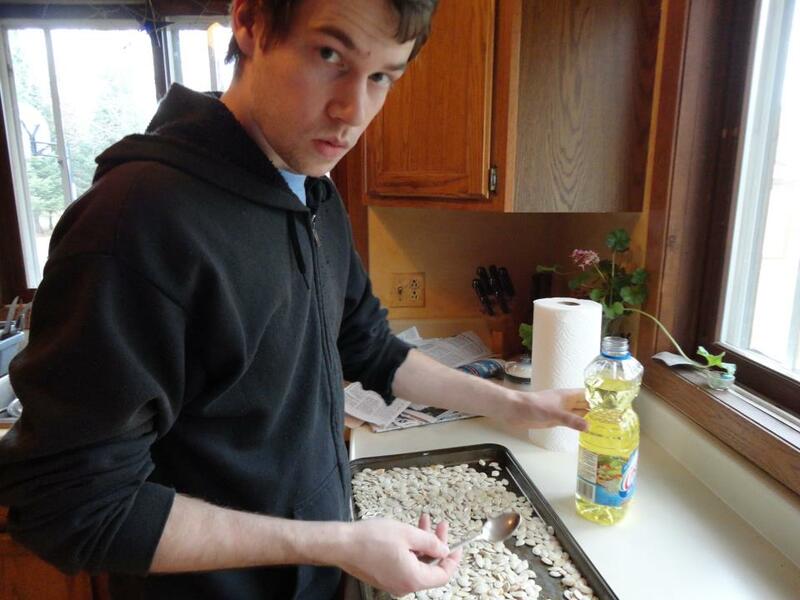 Dylan is a creator living in Portland, and on her site you can read the long-running historical epic Family Man. 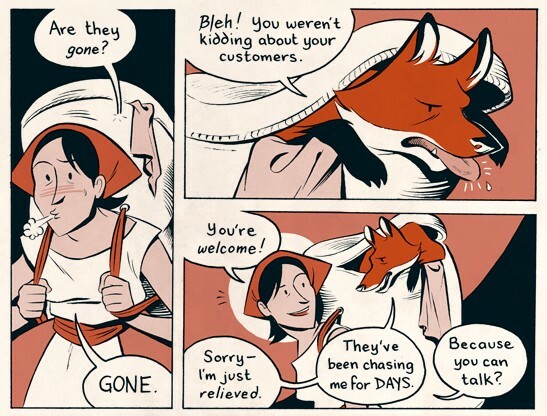 You can also find a good handful of short stories, and we at Outré Press are especially fond of the 23-page story Outfoxed, a charming fable about the meeting between a laundress and a fox with a very special talent. The story was even nominated for an Eisner Award earlier this year, so you should definitely add it to your reading list. 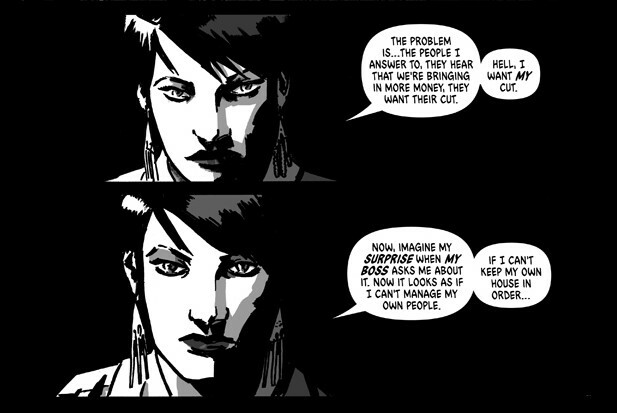 The same goes for Ed Brisson’s Murder Book stories. Ed is a Canadian writer and letterer who’s been working in comics since the nineties, and this month his miniseries Comeback will be out from Image Comics. The Murder Book site currently hosts six different stories illustrated by artists such as Simon Roy and Vic Malhotra, and there will be more to come shortly. If you’re into hardboiled crime noir yarns without a shred of sentimentality, Murder Book is the thing for you. Happy reading and stay creative!